It was the fifth day of a heat wave as I sat contemplating a menu that I had to present only a day later. No matter how good your air conditioner or how little time it takes you to move from the cool confines of your home to the blasting AC of your car, the heat manages to wear you down. I sat there looking at the plants that had shriveled up in the neighbor’s garden, even though they were watered each day, and I felt a sort of empathy for them. What to serve to a party that just wandered in from this heat? Caponata. 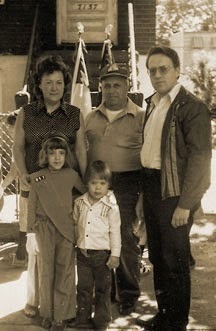 As a child, my neighborhood would have been considered Italian to an outsider, but the fact is that its inhabitants did not think of it as Italian. You see, I grew up in a Sicilian neighborhood. 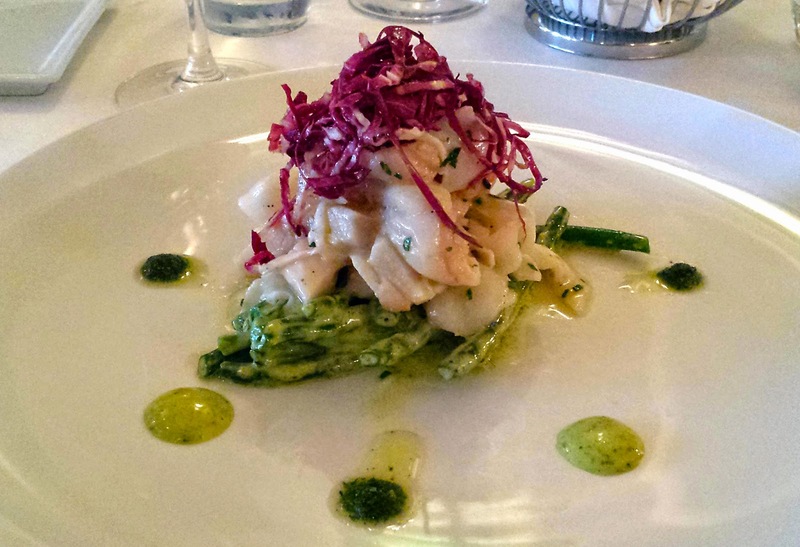 The Italian part of my family had come from the central part of the boot and so, even with my Italian roots, my neighbors still managed to surprise me with a cuisine that was not quite like my grandmother’s, yet Italian all the same. On an afternoon, in this summer heat, my neighbors would be making caponata. 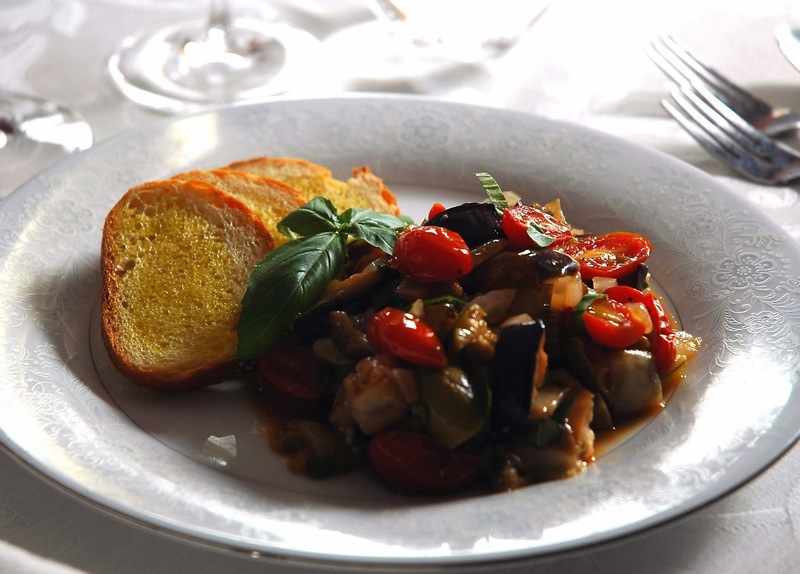 Caponata is a vegetarian dish that’s centered on eggplant and fresh harvested vegetables. It’s a celebration of produce and on the palate obtains a melding of fresh, salty and sweet flavors that truly makes it a celebration to your taste buds as well. It is, all at once, satisfying, refreshing and delicious. It’s a dish that can be served cold, room temperature or warm, and it can be an appetizer, side dish or main course. 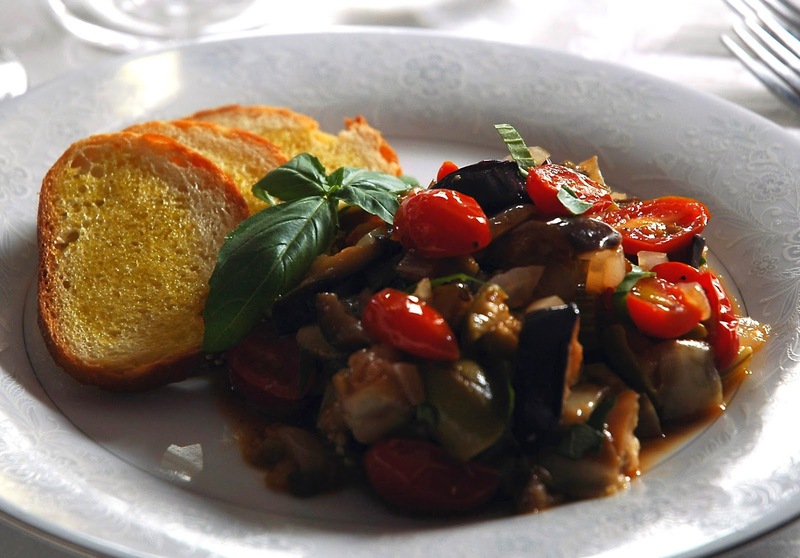 It’s difficult for me to think of another dish that is as versatile as caponata, especially since it can thrill you on a paper plate in the yard as well as served on fine china at the table. See below for my tasting note. As for a wine pairing, I like to go with a wine that can stand up to the vibrant acidity of caponata. 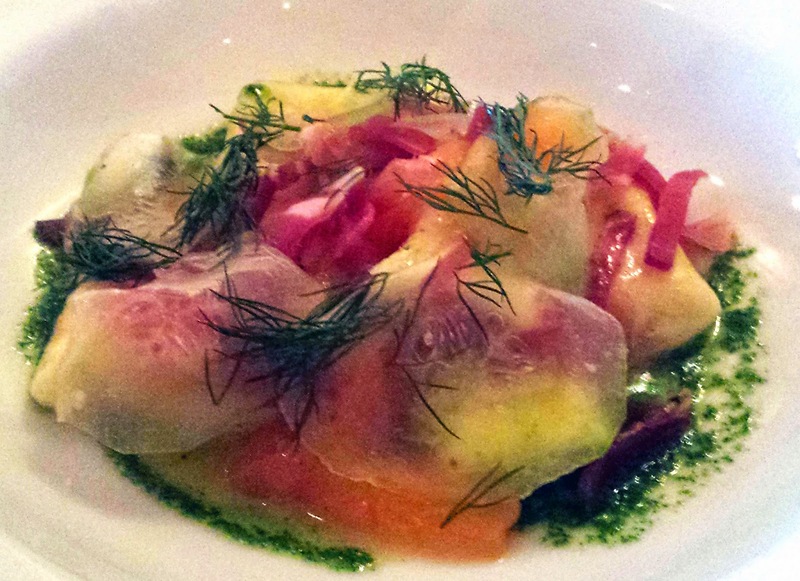 Remember that this dish has a sweet and sour profile and could be overwhelming next to a new world-styled wine. However, it’s also a dish that showcases the finessed yet sometimes fragile flavors of fresh vegetables, so it wouldn’t stand up well to a heavy-handed red. Lastly, I want a wine that will augment the flavors of the caponata. 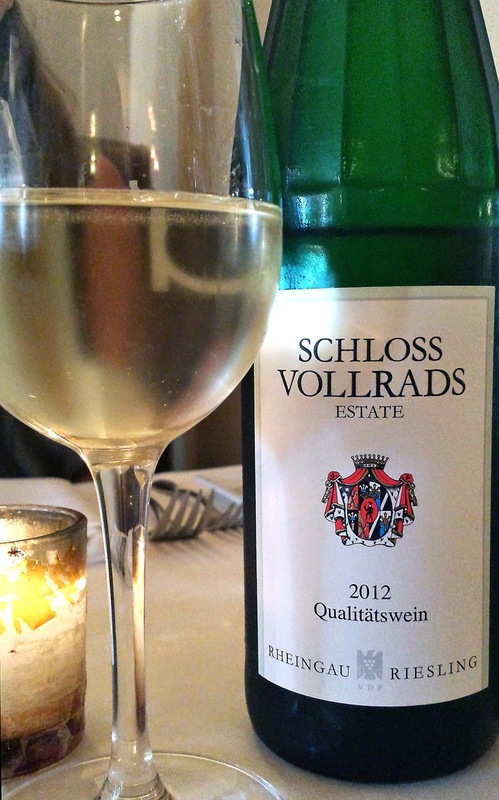 I want Riesling, and the one I'm recommending here will knock your socks off. Slice the eggplant crosswise into ¾ inch slices. Line a sheet pan with paper towels and a cookie rack. Coat both sides of each eggplant slice generously with salt and place on the rack. The salt will pull the bitter flavors out of the eggplant. Allow the eggplant to sit like this for one hour. Then rinse the eggplant well and dry. Bring a pot of well-salted water to a boil. At the same time, place a large sauté pan over a medium flame and pour enough grape seed oil in to coat the bottom of the pan. Once the oil is hot, place the eggplant into the sauté pan. (Be careful not to overcrowd the pan. You may need to fry the eggplant in two batches.) Fry the eggplant on one side until golden brown and then flip to achieve the same sear on the other side. Once both sides have been cooked, remove from the pan and to drain on paper towels. Set up a small ice bath. Now place the large dice of celery into the salted boiling water. Blanch for three to four minutes or until the color becomes a deep vibrant green. Pull the celery from the pot and place into the ice bath for no more than one minute. Then drain and set aside. Cut the eggplant slices into a large dice with a very sharp knife, remember they are soft from being fried and make sure to keep the skin on the eggplant. At this time you are ready to begin the final assembly of the dish. In a large sauté pan over medium heat, add enough olive oil to lightly coat the pan. Once hot, add the onions and season with a pinch of salt. Allow the onions to cook for three minutes. 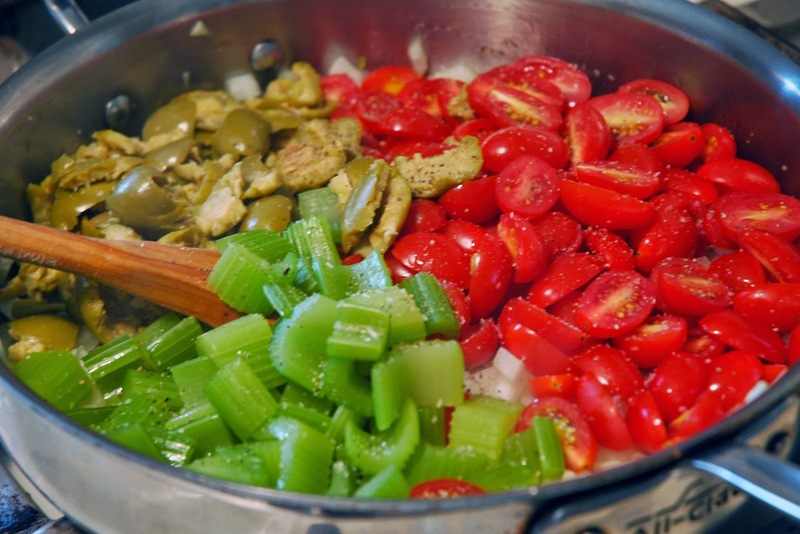 Now add the olives, tomatoes and celery and stir together. Allow to cook for another five minutes. Now add the eggplant, capers, vinegar and sugar. Stir the contents of the pan together well and allow to cook for ten minutes. Taste for seasoning and season with salt and pepper if necessary. Move the entire contents of the pan to a serving dish. If you are looking for room temperature, allow the dish to sit for up to an hour before serving. For hot temp, allow only ten minutes. Or for cold, place under refrigeration for two to three hours. No matter what temperature you are aiming for, when ready to serve, preheat your oven to 350 degrees. Slice the Italian bread into ¼ inch slices, brush both sides with Extra Virgin olive oil and place on a parchment-lined baking dish. Put in the oven for five minutes to toast slightly. 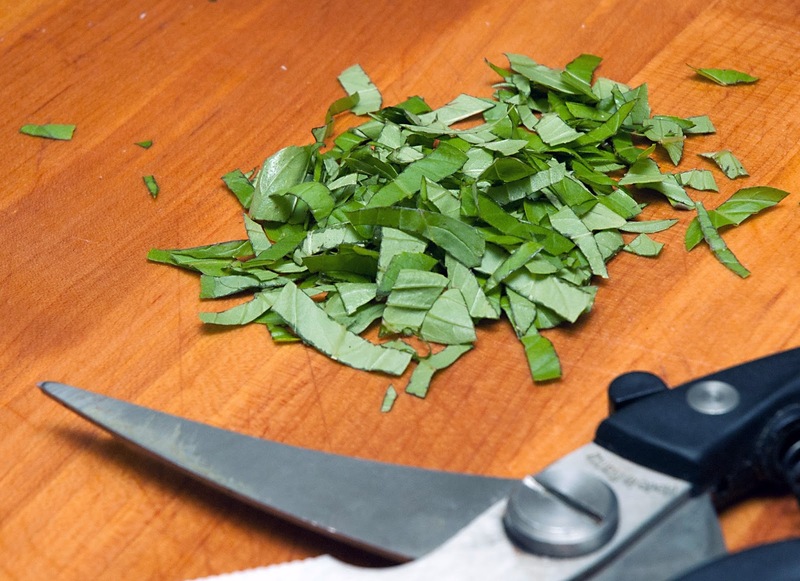 Chop the fresh basil and add to the caponata; stir to combine. You can plate this with the toasts on the plate and the caponata. Or serve family style. 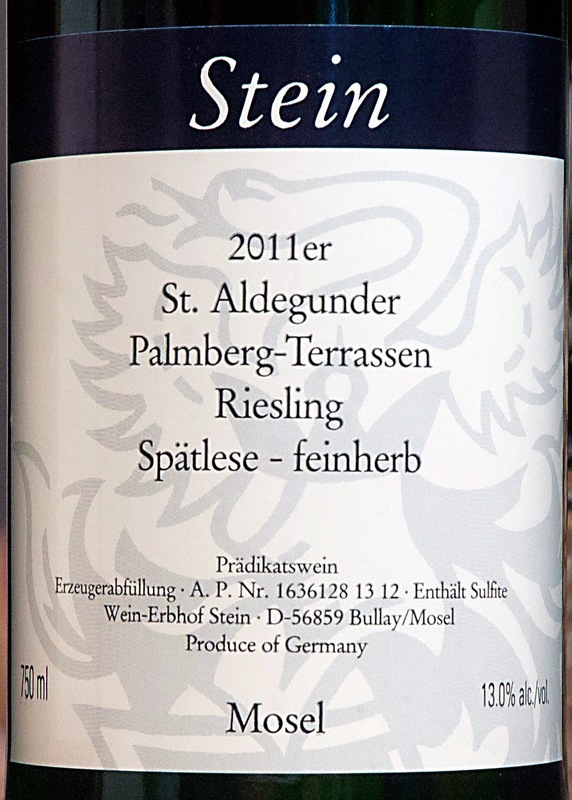 2011 Stein St. Aldegunder Palmberg-Terrassen Riesling Spätlese feinherb - Aromas jumped from the glass of this young Riesling, showing ripe pear, peach skins, wet mineral laden stone and hints of lemon. On the palate, there was a yin yang of fruit, acidity and minerality. Grapefruit was foremost with an equal doses of acidity as expected from a bite, note the sprinkle of sugar on top. Ripe peach flavor and weight added balance, along with gorgeous saline minerals, which poured out as the mouth began to water. The finish made the cheeks pucker with slight lemon pith, hints of fresh honeycomb and inner floral notes. To say i enjoyed this wine would be an understatement. (92 points) Find it on Wine-Searcher! It’s funny how we often lose ourselves in the restaurant game. We read about the newest and hippest place, or the restaurant edition of our favorite magazine fills our minds with all the anticipation of that perfect meal, leading to an infatuation with an establishment a state or two away—or even on the other side of the country. Sometimes we spend so much time thinking about what’s out there that we forget what’s right down the road. 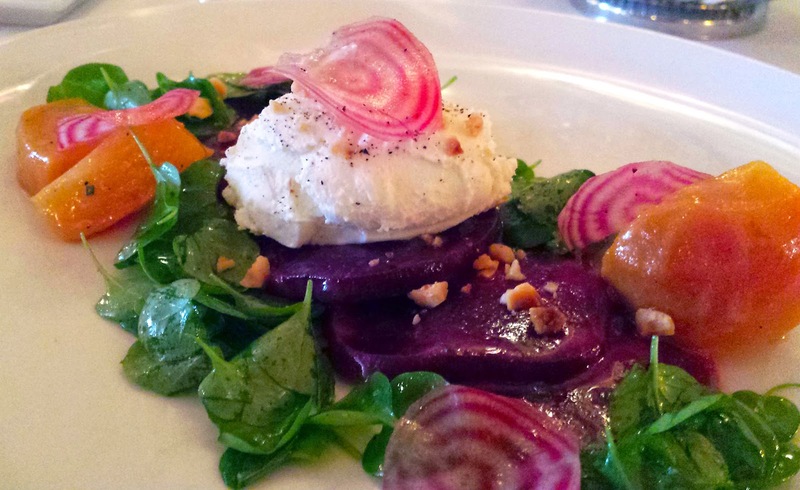 This year, I’ve been working hard to commit myself to my local restaurateurs, and lucky for me, there’s a burgeoning food and wine scene that’s taken shape only five minutes away from my home. Now I don’t live in Manhattan or Williamsburg, nor do I live in Astoria or Dumbo. No, I live in Glendale, Queens, only a stones throw away from Forest Hills and some of the finest dining that Queens has to offer, but most people don’t know it yet. This brings me to Danny Brown, a small corner footprint on Metropolitan Ave. and 71st drive. 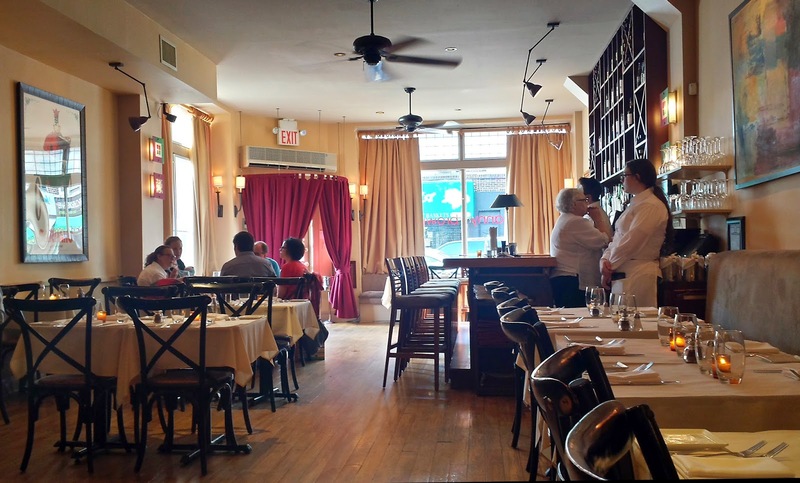 It wasn’t its Wine Spectator Award of Excellence or Zagat’s list of 8 top New York Wine bars which drew me there. Nor was it the Michelin star that Danny Brown received in 2011. Instead it was true word of mouth, the best kind of restaurant guide. So what kept me from Danny Brown for so long? Literally, it was my old way of thinking that my fine dining should be done in the city because of my small-minded way of thinking that the city is where everything new and interesting would be happening. What a mistake. was empty when we left an hour later. Before I go any further, it bears mentioning, with all of the praise I’m about to heap on this excellent restaurant, that my meal took place on a Sunday night. Sunday night, generally considered being one of the worst nights to dine out. Yet, you’d never know it from this experience, nor would I say it matters here, as excellence appears to be expected at all times at Danny Brown. add so much depth to the experience. I entered into an unimposing dining room, clean, precise and with an understated elegance, which immediately put me at ease. Our table overlooked the small kitchen, lending a reassurance to this establishment’s confidence in their art and form. Each chef was on display; all stations were easily in view and the calm, professionalism of each employee shone through in spades. The menu was broken down into small or “bigger” plates, with an entire page dedicated to cured meats and cheeses. 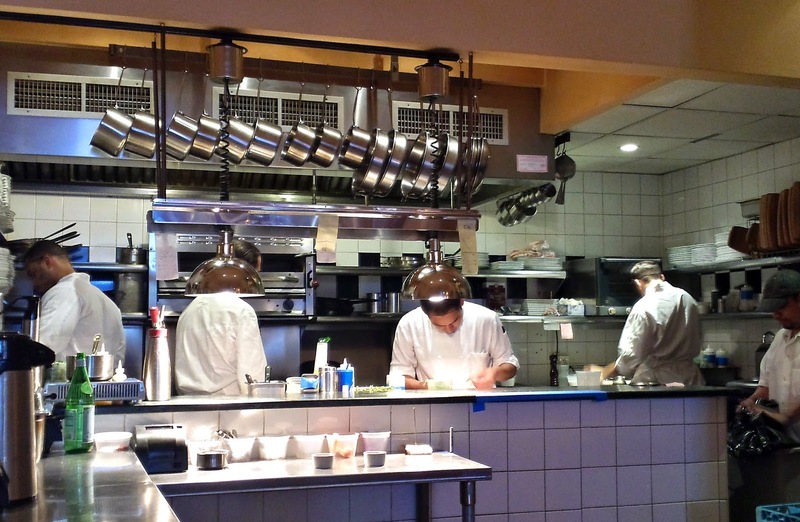 It was described by Danny Brown as an informal mix of French, Italian and Spanish cuisine with a blend of traditional and current cooking methods. Informal may be a descriptor used here, and I can attest to how cozy and relaxing my meal was, but the food was to die for and could be presented at some of the top-level restaurants I’ve experienced throughout my life. 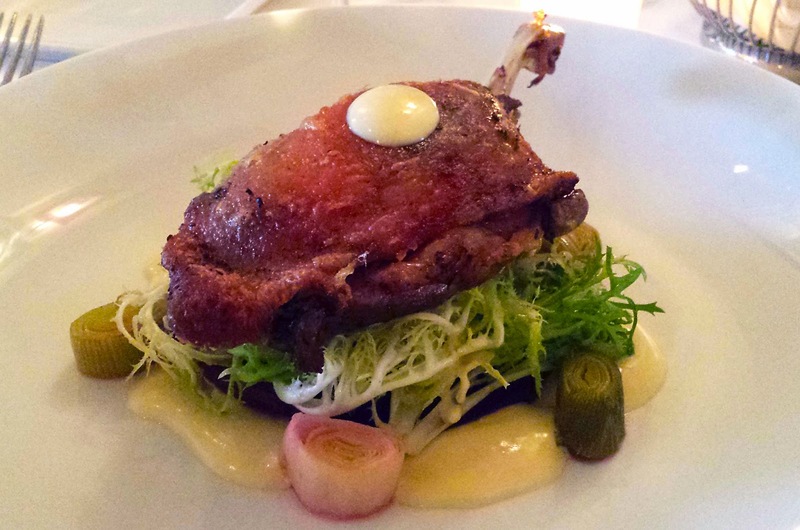 This isn’t what I’d expect at a country table in France—instead it’s fine dining without the pretense. The portion sizes were perfect for a multi-course dinner, and honestly, that’s the best way to enjoy this meal, because only one “bigger” plate, would only be a sinful temptation to what you would be missing. Now that I’ve dined here, my next visit will include even more plates with a group that won’t mind sharing. Each course came with a level of intensity and depth that I would expect from a Per Se tasting menu, along with a delineation of flavors, which could be perfectly blended on the fork or enjoyed one bite at a time. I am in love. rind on the palate with an acid twang. The wines list provided a perfect mix of both affordable and reserve level offerings, with a fairly priced list of wines by the glass. It wasn’t the largest tome imaginable, nor was it lacking in any way. Instead, it read like a well-stocked cellar, with a range from the young and fruity through the aged and nuanced. I had no doubt that I could find a wine for any occasion. On this evening, I chose a young 2012 Riesling with a noticeable level of residual sugar and low alcohol, perfect for a Sunday dinner for two. And the price--$45! I left Danny Brown with a list of reasons why I must go back again and a check for two that came to a little over $200 for three courses and a bottle of wine. It was the perfect marriage of excellence, flavor, diversity, atmosphere and value. I highly recommend taking the time to come off the beaten path and enjoy this wonderful dining experience.